Looking for some spooky manga for Halloween? 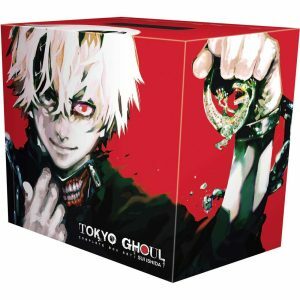 Japanese comics have their fair share of scary stories, and VIZ Media is releasing the entire series of the very successful horror manga Tokyo Ghoul in a handsome box set. 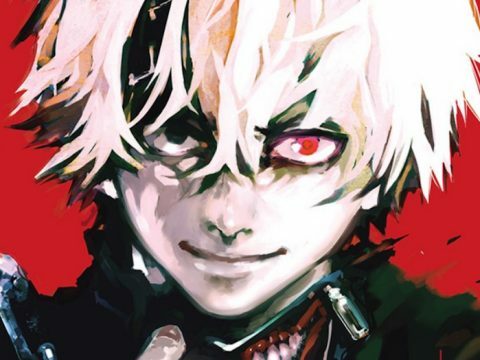 Ken Kaneki is a pretty average college student, but he lives in a not-so-average world. The news is full of stories about “ghouls” — monsters who mostly look human but who eat human flesh. He’s more comfortable with books than girls, but when he meets another girl who’s also a bookworm, he thinks he may have found Ms. Right. Unfortunately, she’s a ghoul who simply wants to prey upon him. She doesn’t succeed in turning him into her dinner, but there is a gruesome accident, Ken is hurt, and in a rush to save him, doctors give him organs they don’t realize come from a ghoul. Now he’s ravenous for human flesh, but still holds on to enough of his humanity to be horrified at the thought. However, all human food tastes awful to him now, and he won’t live if he doesn’t eat. 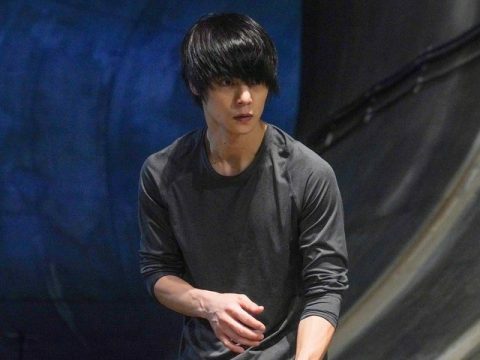 What does a half-human, half-ghoul do? He eventually finds other ghouls, and with them he finds new subtleties, as he has to confront the fact that ghouls aren’t all automatically the monsters he assumed. And what about the investigators going after ghouls? They’re doing it to protect humanity, but they’re also killing ghouls that Ken has gotten to know as individuals who can love and help others. 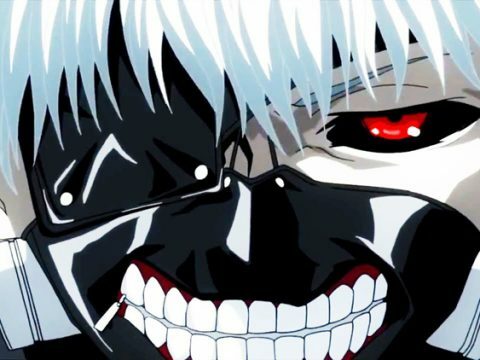 Tokyo Ghoul is a gritty, violent, fantasy-filled horror series spanning fourteen volumes. But in addition to the gory flesh-eating, it also has humor, quirky characters and some very unique fashion choices. The box set has all the books, plus a double-sided poster. 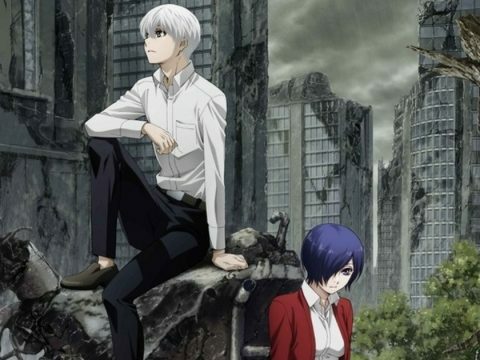 VIZ is also the publisher of the sequel series, Tokyo Ghoul: re, the art book Tokyo Ghoul Illustrations: zakki, and original novels based on the franchise. 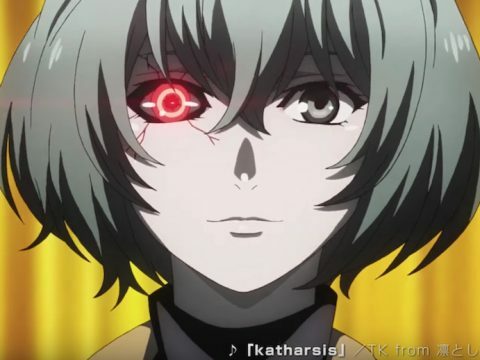 Meanwhile, FUNimation holds the rights to the anime, which, along with being available for streaming or buying, has been playing on Adult Swim. Anyone who’s a fan of the original manga or who likes the anime would find the box set to be the best deal if they want to get the entire series. You can have a little Halloween fun with it!